You’ll get off from the southernmost HSR station and go to Donggang Harbor for a quick ferry ride to Xiao Liuqiu. Once you arrive, you’ll be met at the dock by the folks from your guesthouse. (Xiao Liuqiu is known for having Taiwan’s coolest accommodations, and MyTaiwanTour only works with the best of them.) After checking in, you’ll be given a brief orientation about the island and handed the key to your electric scooter. You can spend the rest of the day hiking, catch an afternoon Scuba trip, do some snorkeling or just explore the island on your own. Good morning, and welcome to another day in Paradise. If you’re looking for nautical adventure, we will suggest you to arrange a scuba expedition and provide real-time language support as needed. You could catch a snorkeling trip or ride on a glass bottom boat. If it's fun on the land you’re after, you can hike one of Xiao Liuqiu’s many trails, visit a few caves, or go temple hopping (the island has over 80 of them)! After breakfast on your final day in Xiao Liuqiu you can take another spin around the island on your scooter and spend the rest of the morning on activities you may not have gotten around to yesterday. At noon, you’ll check out of the hostel and return your scooters before being brought back to the ferry for a 12:30 boat back to Donggang. We’ll arrange for your shuttle at 2:00, so you’ll have an hour to eat an incredibly affordable seafood feast at the famous Donggang Harbor Seafood Market before heading back to the High Speed Rail. Best hidden gem place in Taiwan hands down! MyTaiwanTour is amaaaazing! They are super in the new and are very willing to accommodate to the traveller's preferences! I took a 7-Day Customized Tour with them to Taipei, Kaohsiung, Tainan, Xiaoliuqiu and back to Taipei! I didn't have to worry about any transportation because they covered that thoroughly, so I felt super at ease :) For the customized tour, MyTaiwanTour brought us to so many hidden gems as well as local favorites - the best way to experience the culture and way of life in Taiwan! The places of stay in each city was organized perfectly. From modern to business and even uniquely built air bnb's like 7th living! I loved how they brought us to the island of Xiaoliuqiu where there are hardly any tourists. We rode electric bikes all around the island and went snorkeling with sea turtles! What an experience! I'll never forget it. Our tour guide name is Claire - HIGHLY RECOMMEND HER! She is fluent in English and Mandarin! Very knowledgeable about each destination and is willing to explain each thing in depth. She is such a joyous and excitable person, which livens up the whole tour too! She also loves help taking pictures for her travellers! I highly recommend MyTaiwanTours for any kind of traveller - adventurer, business trip, casual, family...you name it! 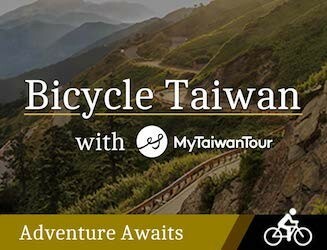 I had the most unforgettable experience exploring Taiwan on a customized tour with MyTaiwanTour. Our guide, Claire, was very knowledgable and organized with excellent English skills and an exceptional expertise about the country and history. We made our way from Taipei to Fulong to take in the Fulong International Sand Sculpture Festival stopping at Nanya Rock along the way before making our way to the southern city of Kaohsiung and jumping on a ferry to Xiao Liu Qiu on Lambai Island. Once there we swam with sea turtles and rode around the island on a scooter, while staying at the incredible 7th Living Guesthouse. From there we made our way north to the ancient city of Tainan, originally established by the Dutch East India Company, where we visited the Sicao Green Tunnel in Taijiang National Park, Anping Tree House and Blueprint Culture & Creative Park. After a week on the road, we made our way back to Taipei with wonderful memories, new friends and an experience we will never forget. I highly recommend booking a tour with MyTaiwanTour! 53 people have browsed this in the last week.